The attacks of 9/11 were conducted against the U.S. homeland with support from the Islamic Movement inside the United States. The U.S. government’s response to fight on battlefields overseas, while leaders of the U.S. Islamic Movement exclusively provided “advice” to our leaders, led to strategic defeats in Afghanistan and Iraq despite the fact the U.S. military crushed the enemy on the battlefield. The United States lost and is losing this war today because, contrary to U.S. warfighting doctrine, the United States government has failed to identify the enemy we face and the doctrine they use as the basis for why they are fighting. The enemy clearly articulates that sharia (Islamic Law) is the basis for everything they do. Now the United States is re-engaging in Afghanistan using some of the same leaders who crafted the losing war strategy in the first place, who still have not defined the enemy, using the same allies who are still our enemies (eg Saudi Arabia, Pakistan, et al), while ignoring the massive jihadi network in the United States, which is the primary front for our enemy in this war. During the entire Bush administration the United States never defined the enemy. Yet, the administration and all key government agencies were primarily advised by Muslim Brotherhood leaders which led to the United States writing constitutions for Afghanistan and Iraq (2005) creating Islamic Republics under sharia (Islamic Law), thus achieving Al Qaeda’s objectives in those two countries. That is when we lost the war. First, if we kill all ISIS fighters, the Global Islamic Movement will roll on. This is bigger than merely ISIS, Al Qaeda and the Taliban. As UTT reported on Monday in its article “US Islamic Movement Enters Final Stage” the U.S. Muslim Brotherhood and its allies INSIDE the United States are experiencing the culmination of six decades of work domestically to overthrow our nation. At the same time, the State Department is meeting with representatives of Hamas doing business as the Council on American Islamic Relations (CAIR) which raises grave concerns. Mr. Trump’s original instincts were correct. He should stick with his gut. We should not engage in Afghanistan as his National Security Advisor and others recommend. This is a strategic distraction from the real war here at home. 9/11: Jihadis attack the homeland using airliners killing nearly 3,000 Americans. Response: U.S. fails to define the enemy in any of its national security documents. U.S. military attacks targets in Afghanistan, while using U.S. Muslim Brotherhood leaders as primary advisors on how to fight the war. Result: Strategic loses in Afghanistan and Iraq. Significant gains for Islamic Movement inside the U.S.
Today: U.S. Islamic Movement in “Final Stage” of its Civilization Jihad using hard-left Marxists as leading edge of their violent actions. Response: U.S. fails to define the enemy in any of its national security documents. National Security Advisor Herbert McMaster demonstrates no knowledge of enemy doctrine (sharia). U.S. Launches renewed military operations in Afghanistan, while failing to pursue the MB and designate it a terrorist organization. The U.S. government continues to allow the MB to operate in the open in the United States. Result: While the U.S. puts its strategic focus on Afghanistan, the cooperating Islamic and hard-left/Marxist Movements will achieve the intentional outcome of their campaign – increased civil disorder, chaos, and a high likelihood of open civil war. The Islamic Movement in the United States includes over 3000 Islamic centers/mosques, over 800 Muslim Student Associations (MSA) on every major college/university campus, over 255 Islamic Societies, and many others as has been detailed in previous UTT reports. Nearly all of the jihadi attacks on the United States in the last 16 years, including the attacks of 9/11, had direct support from this network. The 9/11 attacks had direct support from Saudi Ambassador Prince Bandar. Yet, this network remains untouched by the Department of Defense, the Federal Bureau of Investigation, the Department of Homeland Security. If the United States government wants to thin the jihadi herd, as the President states is his desire, he can begin with dealing with the mothership of their Movement – the US Council of Muslim Organizations (USCMO) – and jihadi leaders inside America like Nihad Awad, Ibrahim Hooper, Oussama Jamal, Salam al Marayati, Mohamed Magid, Azhar Azeez, Javaid Siddiqi, Sayyid Syeed, Muzammil Siddiqi, and so many others, as well as those aiding and abetting them like the President of the Southern Poverty Law Center Richard Cohen and the entire SPLC, and Congressmen Keith Ellison and Andre Carson. the gubmint is also a Threat ! Any criminal investigator in the United States who still pays credence to what sharia-adherent Muslims and like minded persons of interest “say” – or “why” they say it – as opposed to acting upon what they demonstrably “do”, is either a marginal moron or in the wrong line of work. I.e., when a State politician adamantly refuses to recant an assertion that the President of the United State’s should be “assassinated”, one should assume that “Phase-4” of the Muslim Brotherhood’s war plan* to openly confront the government has not only begun but may include a burgeoning plan threaded to said outrage – THUS (!HELLO!) THE DEPARTMENT OF JUSTICE SHOULD HAVE HAD HER ARRESTED. [*see said Islamic declaration of war on the United States, for a nominal fee – seized by the FBI in 2004 – via http://www.securefreedom.org, I.e. : GOVERNMENT EXHIBIT 003-0085 3:O4-CR-240-G U.S. v. HLF, et al]. 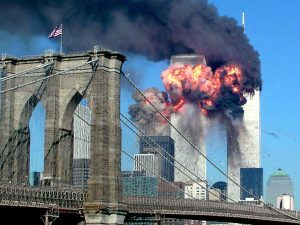 Furthermore, in view of recent historically unique internet revelations, it seems perfectly reasonable to believe that the 9/11 attacks weren’t simply “supported” by Islam, but may have also been “enabled” by virtue of high-level treason; a considered contention of which the White House was apprised (and concomitantly acknowledged). The assertion at this late date by any rational English speaking adult in the United States – much less a federal official – that they are not clearly aware that the enemy who seeks our destruction consists of the 29 uniquely mandated jihadist battalions of sharia-adherent killers referred to as the “Muslim Brotherhood terrorist organization”, flies in the face of reality, thus is a despicable lie; which, with respect to the U.S. Government per se, constitutes – in the main – an officially imposed widespread cover-up and obstruction of justice. The 9/11 Commission should thus be reconvened sans any immunities relating to witnesses; and Habeas Corpus vis-à-vis treason should be contextually suspended with an eye on prosecutions based THIS TIME on the actual facts. Habeas Corpus has been suspended only two other times in American history: Lincoln did so during the Civil War on behalf of the country, thus focused on “TREASON”; Bush-43 did so after 9/11 in behalf of himself et al thus focused on “ALIENS” – a nebulous cover-up & obvious diversion. I agree, John, my mind cannot grasp a government that continues the same failing strategies, unable to see the border-less enemy who walks the hall of the Pentagon, Capital, and lives in every city that supports the influence of not knowing the doctrine. The war doctrine of Islam is falsely protected by religious freedoms of the U.S.. Aware that MacMaster from, a conclusion from many sources continues the failed policy and makes our nation once again look like the aggressor at times is when they decide to act without full knowledge. The immediate subversive danger is here not in Afghanistan. This will take the eye off of North Korea and Iran I am afraid. That must be the intention.Clever guys.